A subtle, long lasting energy boost designed to help you power through the championship rounds! Those are the times that make the difference. When your opponent is putting in more rounds, more sets, or more reps during training, it’s going to tip the scales. Don’t quit early because you gassed out. You’ve tried that xhour energy junk they sell at the gas station for over $3 a shot. (Really, I paid $3.49 a bottle when I tried it, that’s crazy!) Now it might keep you from falling asleep during a 3 o’clock staff meeting, but it’s not going to get you through a tough workout. Plus you’d spend about $210 for the same number of servings in an $18 bottle of Extra Round Energy! How about an ‘energy’ drink from the 7-eleven cooler? Sure, if you’re looking for a jittery 30 minute rush, followed by a devastating sugar crash and a bad case of the munchies. Aren’t you tired of being on that roller coaster? Extra Round Energy is a scientifically designed extended release tablet, that will give you a long controlled boost of energy to help make it through those tough extra rounds. 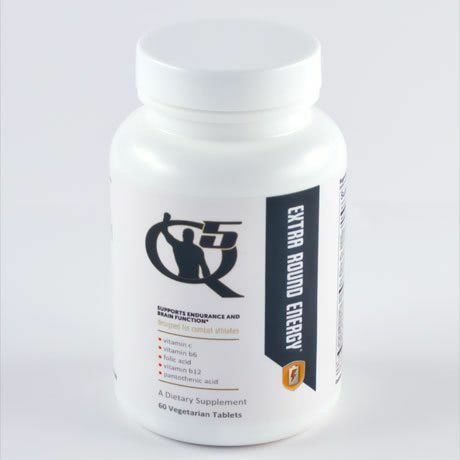 One of the key ingredients in Extra Round Energy is DMG, or dimethylglycine. DMG is a building block for many important substances, such as creatine, which produces phosphocreatine, a high-energy phosphate in muscles that maintains the ATP levels needed for muscle contraction. Remember, Extra Round Energy is a long, slow burn. Take one tablet at breakfast if needed, and another at lunch. Don’t take this just before a 7pm class, give it at least an hour or so. You won’t feel the typical stimulant induced rush, but you will find that you’re able to train a little longer and stay a little more focused. If the effect is more subtle than you’d like, you can double up on the dosage with no danger. Other ingredients: stearic acid, cellulose, vegetable stearate, calcium sulfate,silica, hydroxypropyl methylcellulose, talc, titanium dioxide, polyethyleneglycol. Contains: Soy. Warning: If you are pregnant or nursing, consult your healthcarepractitioner before taking this or any nutritional product. 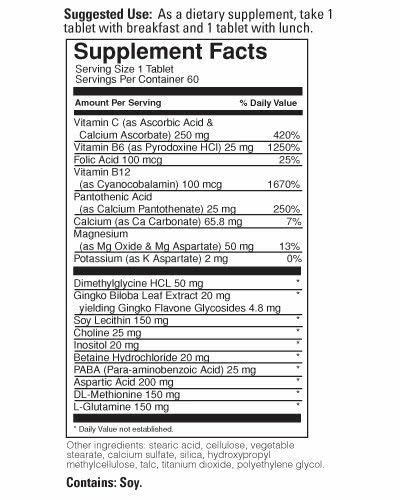 Suggested Use: As a dietary supplement, take 1 tablet with breakfast and 1tablet with lunch, or as directed by your health care practitioner.